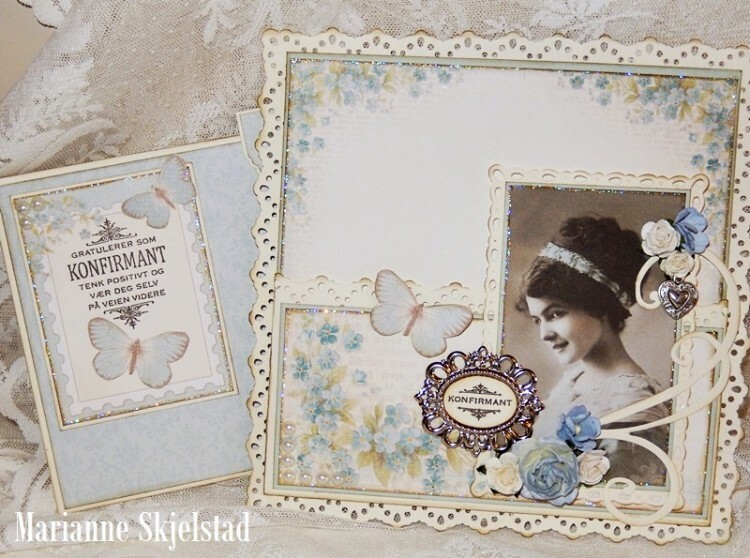 The spring-like papers in the new Easter Greetings collection is perfect when making confirmation cards. For this one I have used the beautiful blue papers together with a vintage image. 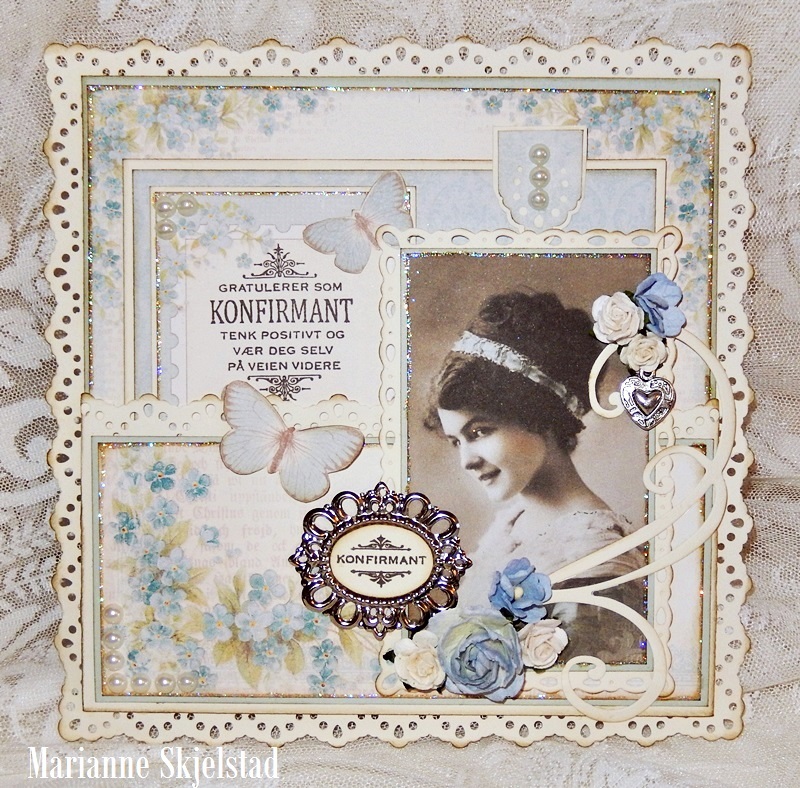 I always love your cards Marianne… and this confirmation card is GORGEOUS!! !